Names are powerful things, even though we may not often think of them as so. Most cultures take them very seriously, and this is often reflected in literature. We need only think of Hermionie Granger’s admonition to Lucius Malfoy that “fear of a name only increases the fear of the thing itself,” to see it. While I don’t know that Lewis was thinking along these lines in particular, I find Aslan’s statement to be almost prophetic. He who has an ear, let him hear what the Spirit says to the churches. To him who overcomes, to him I will give some of the hidden mana, and I will give him a white stone, and a new name written on the stone which no one knows but he who recieves it. A True Name, directly from God, that only He knows. That is a gift indeed. Of course, in the short run, not all names are going to be with their proper owners. People who should be held in esteem and spoken of in terms of honor and grace are regarded with disdain and subjected to names so vile that I won’t repeat them here. Others who should be ashamed of what they’ve done are held up as the finest examples of humanity and showered with praise. There is something in us that cringes at both extremes. We get angry when we see this kind of injustice, though at times we may not even realize why. The good news is that God sees through to the very heart of things, and He is the ultimate Namer of whom we are but a poor imitation. One day, as Aslan promised Beaver, all names will be restored to their proper owners. In the meantime, we “need not dispute about noises” and let what others think of us weigh too heavily on on our minds. We should take curses and praises both with the proverbial grain of salt. Remember, the One who really matters sees us as we truly are. His name is waiting for us. While this quote is widely attributed to Lewis on-line, I’ve yet to come across an actual reference that points to a place where I can verify that he really said it. * Still, the advice is worthwhile, though we see it better modeled in what Lewis’s friend, J.R.R. Tolkien, wrote. It is a simple fact that we all are gifted with varying levels of ability and circumstance. There is no society–nor will there ever be in this fallen world–where everyone is born into complete and total equality in those terms (their ultimate value as a being is another matter–we are all already equal there). Compared to some people (like Lewis himself intellectually or Bill Gates financially), I am not “gifted” in any meaningful sense of the term. Compared to others, I am incredibly “gifted.” That isn’t intended to be humble or arrogant. It is just a statement of fact. The people above and below me in this pattern of ability in turn likely relate to others the way I relate to them. Therefore, learning to take what we have been given by God in particular and life in general and make the most of it is often what separates people who are successes from those who are failures. Unless I am greatly mistaken, I am not called to redefine generations of belief and literary genres as Lewis and Tolkien have. I am called to do the most I can with what I have been given, to take it and use it to its uttermost in ways that I myself would not have dreamed possible before I undertook it. We see this best in Frodo Baggins, of course. Frodo was “just” a hobbit. He was not tall or strong; no master of wizardry, warfare, or woodcraft. He came from a people who had traditionally distinguished themselves for nothing in particular, beyond, perhaps, puttering away the days with pointless chatter about family trees and social relations. Taking only what he had been given, Frodo brought the One Ring to Mordor, something even the Wise, Great, and Strong could not have done. He did it himself, as himself. Another problem comes when we judge ourselves by what someone else did with an entirely different hand of cards. 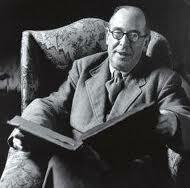 If I judge my success as an author by that of Lewis or Tolkien, then I am almost 100% guaranteed to come up a failure. Thankfully, as Christ taught in the parable of the talent (Matt. 25: 14-30), if we are to live by the hand we are dealt, we will be judged by that hand as well. In that sense, a poor man or woman who lives an honest life in poverty will be judged greater than a dishonest national leader. I, for one, find that reassuring! *If so, it was out of character for him. Lewis described himself as a terrible gambler in Surprised By Joy, and therefore he probably wouldn’t naturally revert to a card-paying metaphor. The phrase is actually provably older than Lewis, though, and therefore perhaps he would have simply been repeating it.